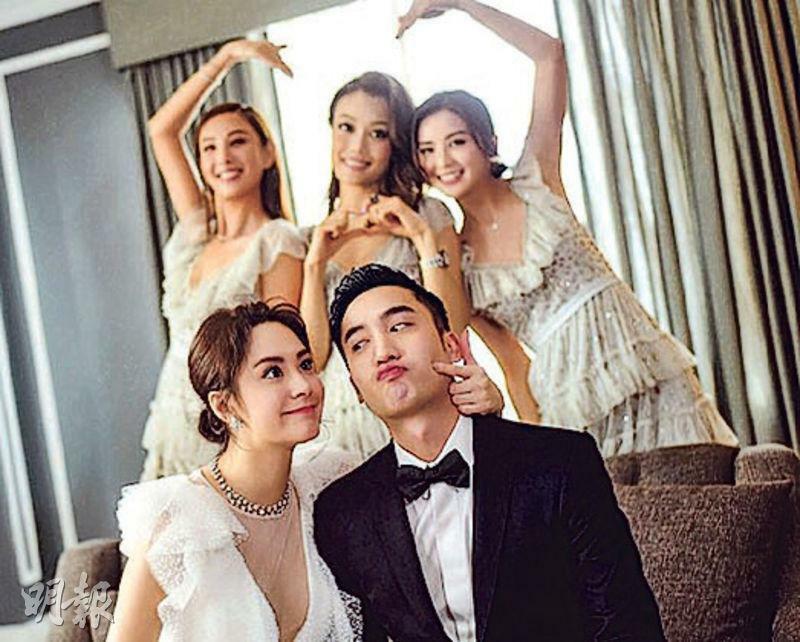 On May 25th, Twins member Gillian Chung Yun Tung and Taiwan "doctor god" Michael Lai held a pre wedding party in Los Angeles. 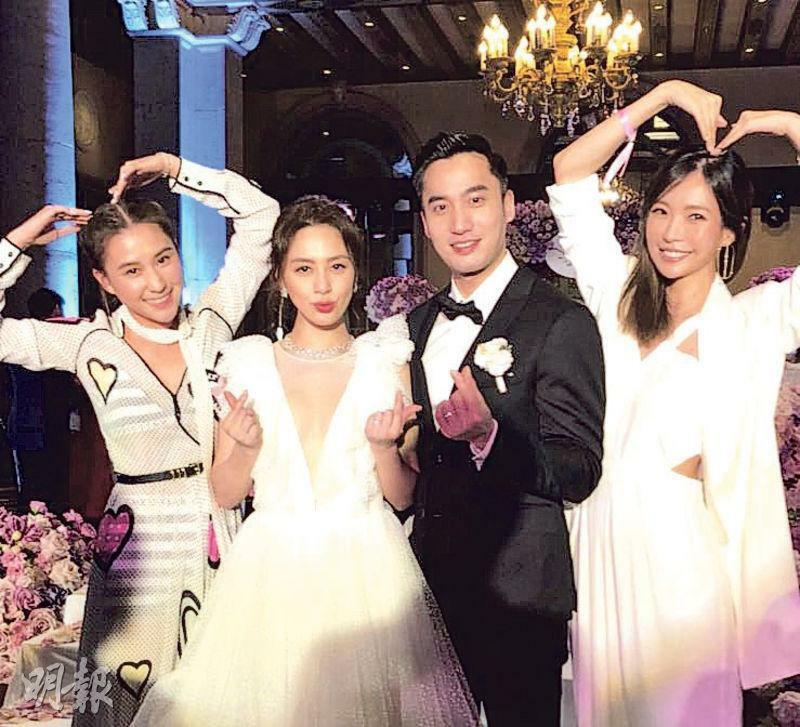 Known as "Dragon Tiger Leopard Snak" with Ah Gil, Joey Yung Cho Yi, Charlene Choi Cheuk Yin and Yumiko Cheng Hei Yi were in her wedding party. The couple spoke after appearing. 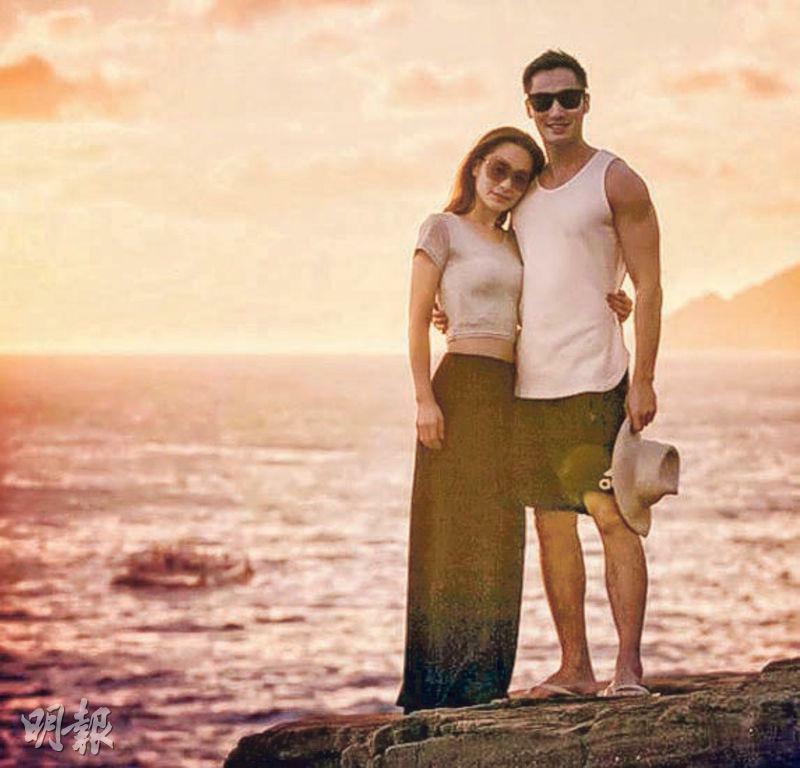 Michael Lai thanked Ah Gil and said that they were very happy together. He even leaned on Ah Gil's shoulder and cried. 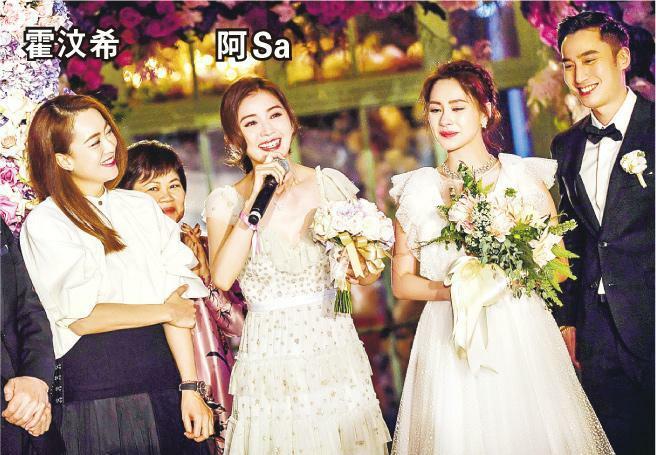 Ah Gil also sobbed as she said, "We will work very hard on supporting and encouraging each other." The party venue was an almost 100 year old five star hotel Millennium Biltmore Hotel Los Angeles. Because it was a pre wedding party, there was no ceremony like picking up the bride, hair combing or signing ceremony. The venue was decorated mainly with a lot of purple and pink flowers, with a T shaped stage in the center that was filled with candles. The format was a luncheon and about 60 friends and family members were invited. 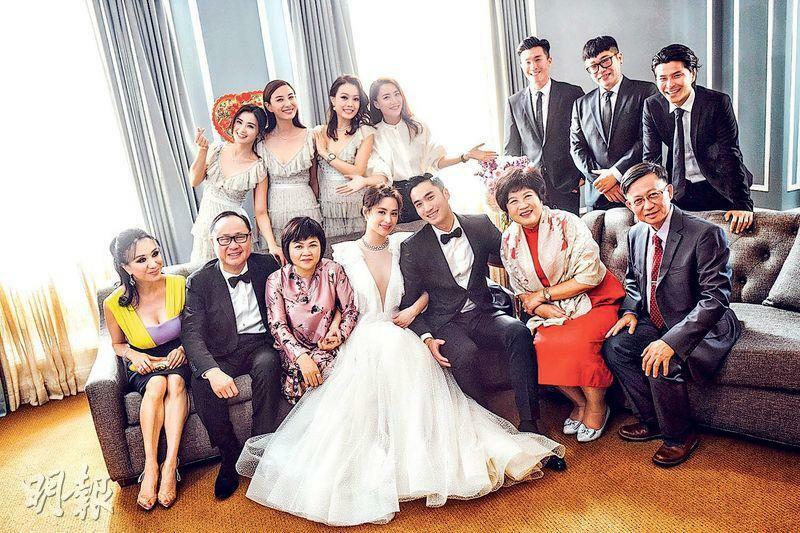 They included Ah Gil's mother, sister and cousin; Michael Lai's parents, family and friends, Ah Gil's manager Mani Fok Man Hei, godfather Jeff Lau Chun Wai and his wife, Laurinda Ho Chiu Lin attended. 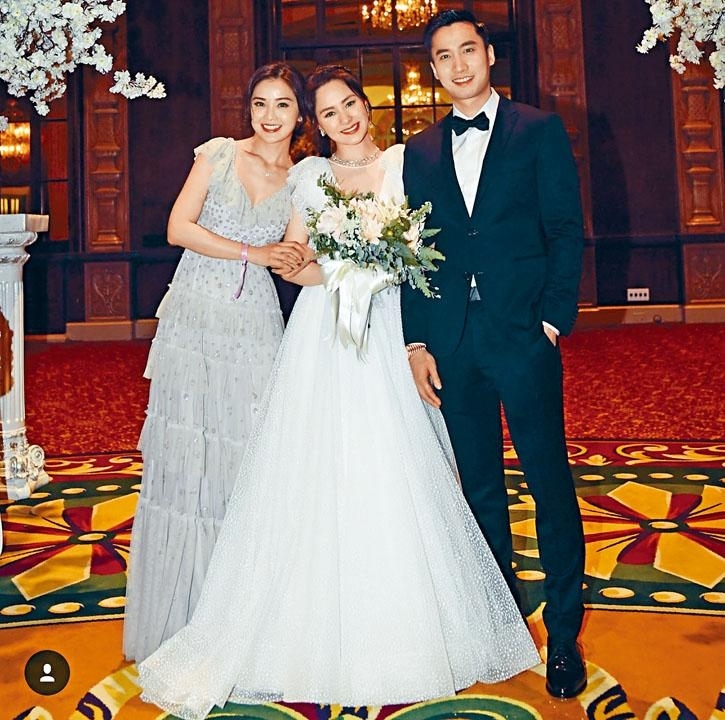 Yung Cho Yi, Ah Sa and Yumiko were her wedding party; The flower girl and the page boy were Yumiko's daughter and Ah Gil's godson. When each guest arrived, the crew would put "G&M" ribbon on them; the luncheon had four courses. On each guest's plate was not only their guest name tag but also a rose. 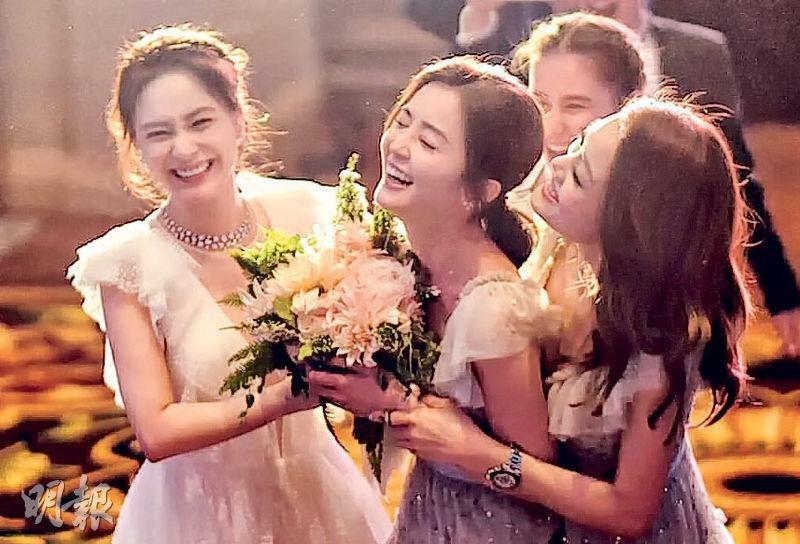 Around 12:30PM, the party officially began, the wedding parties entered. Then the couple followed. Ah Gil wore a Jenny Packham wedding gown. Michael Lai first thanked everyone for attending. "We came from different families, culture, background. She was already very busy with work, but she still spent time to maintain this relationship with me......" Then he cried as he said, "Getting to this step today.....I really want to thank her. The feeling of meeting the right person, I have that feeling today when I came here." Finally he even leaned on Ah Gil's shoulder and wept. "I feel very happy to be with her, thank you everyone." Ah Gil was already choked up as soon as she spoke, "I kept telling myself......actually it's nothing to be nervous about. I feel this relationship of us really isn't easy because the distance is so far. However we spent a lot of time to try to see each other, to maintain. Maybe I am not that mature, Michael also had to spend time to take care of me even more. We will keep working hard to support and encourage each other." 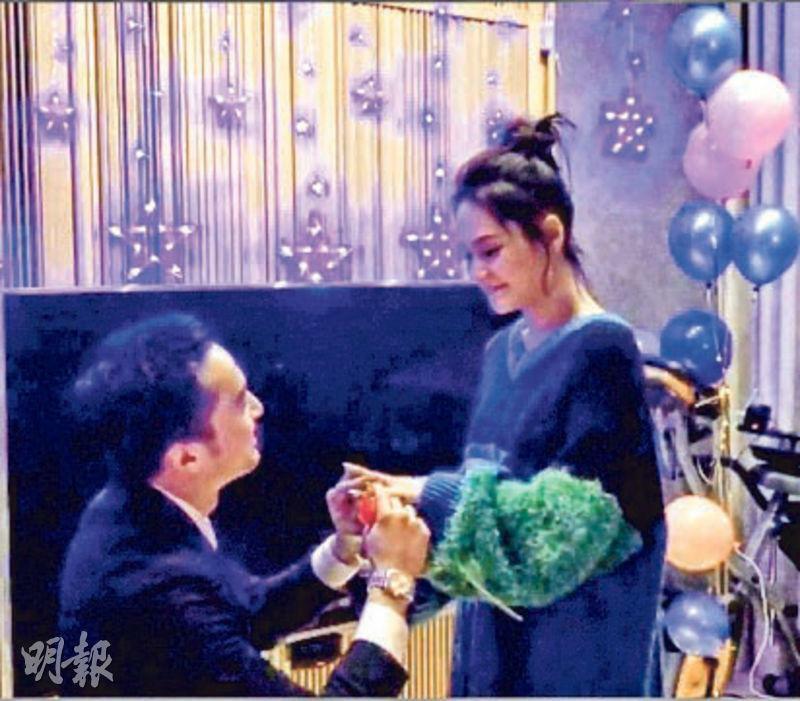 Then, Ah Gil's manager who practically raised her, Mani, the finally together "Dragon Tiger Snake" spoke. First Mani said, "In the past we took care of her, but today I am very happy to have another person to take care of Ah Gil. She is yours! We can rest now. Over the years as Ah Sa and Ah Gil grew up, I witnessed Ah Sa and Ah Gil from being children to now. Today Ah Gil......I am very happy, happiness is something you have to to have! You are really worthy of having this happiness." After 17 years as Twins with Ah Gil, Ah Sa first hug her then almost cried with almost every word she said to Ah Girl, "Since Ah Gil told me......he proposed, at that moment I was so completely emotional......truly from 17 years we have been together......over the years we have had a lot of different ups and downs, but no matter what we got over them together. Today, seeing her finally found someone who really love her, I really don't know how to describe the emotions of the past few days. I am very happy for her, and......the feeling is really funny. We grew up together! Now she is marrying someone! 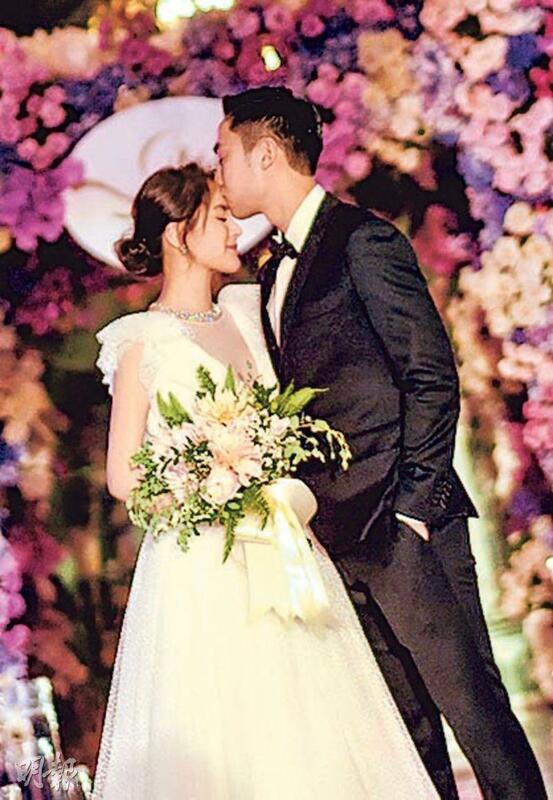 I truly sincerely wish them well, happiness together, happy everyday. Even after she married to Taiwan she would have to keep coming back to see us." Finally she even "warned" Michael Lai. "You have to treat her well, otherwise you would have to answer us, haha." Joey who almost missed the event due to an expired visa said, "Heaven blessed me to be able to stand here today and witness Ah Gil's big day, if I couldn't get the visa and couldn't come here, I think I would feel a lot of regret for many years. I feel that everyone is worthy of finding someone who wholeheartedly loves her. I am very very happy for you!"